Your child is in love with hockey. Now what? Depending on your player's age group, you'll have practices 2-3 nights per week. The on-ice portion of practices run an hour in length but your coach may have kids arrive up to 45 mins before practice to allow for off-ice "dryland" exercises. The dryland portion of exercise is to help kids both warm up and develop skills to help them when they are on the ice. Players are to get dressed in the locker rooms — check the display at the front desk to see locker room assignments for your team. Throughout the season, your player's team will have games against other Eugene Jr. General house teams and/or teams from other associations in Oregon. We typically play teams from Bend, Klamath Falls, Medford and Portland. While most of our games are played locally in Eugene, be prepared for the occasional overnight trip to one of these locations for a pair of games, a tournament, or a jamboree. Games, for the most part, are played on Saturdays with some away games also played on Sundays. Up through 14U, games consist of three running clock periods, typically 17 minutes in length. Sometimes, depending on the overall schedule, the third period might be shortened to 15 or 16 minutes but this is decided during game play by the refs. Because of the running clock, minor penalties are 3 minutes. 16/18U and older play three stop clock 17 minute periods. Minor penalties are 2 minutes. When the team goes out of town for a quick set of games or a tournament, generally the team manager will reserve a block of rooms at a nearby hotel. Unless specified in tournament rules, the team is free to stay wherever they'd like. The really fun part of away trips is the bonding that takes place between teammates and parents alike. There's nothing like watching the kids play games in the lobby, play Marco Polo in the pool, and parents get some time to hang out. Sometimes the teams have "team dinners" which are fun, too. 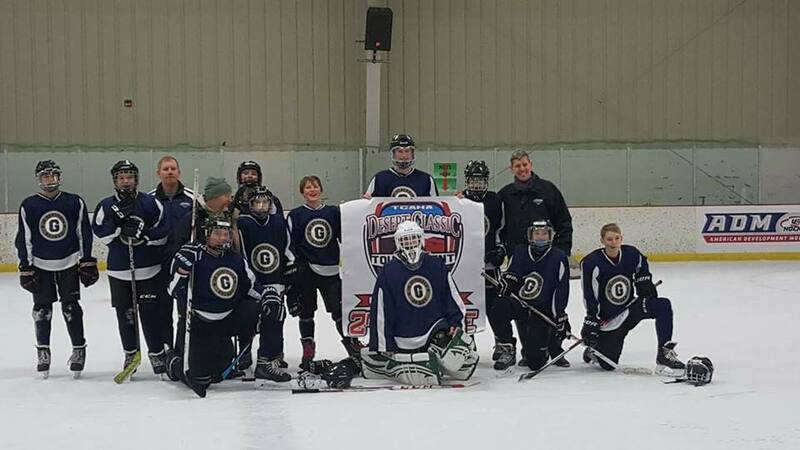 During the season, most teams will travel to attend up to two away tournaments and 10U and 12U teams will participate in our home "Ice Cup" tournament. Typically tournaments take place over 3-day weekends like Thanksgiving, Christmas break, Martin Luther King, Jr's birthday, President's Day and spring break. A few tournaments occur on other weekends, but be prepared your team will likely be playing over these weekends. Teams have been creative with holiday meals and sometimes these weekends become new family traditions — "hockey weekends". As mentioned, most tournaments have host hotels that teams are required to stay at. Generally speaking, associations choose hotels at various price points, most offering breakfast and are relatively close to the rink(s). These hotels fill up quickly so you want to be on the lookout for booking information from your team manager. Most tournaments consist of 4 games. Sometimes it's 3 round robin games plus a consolation/championship game. Sometimes it's 4 round robin games plus a consolation/championship game. 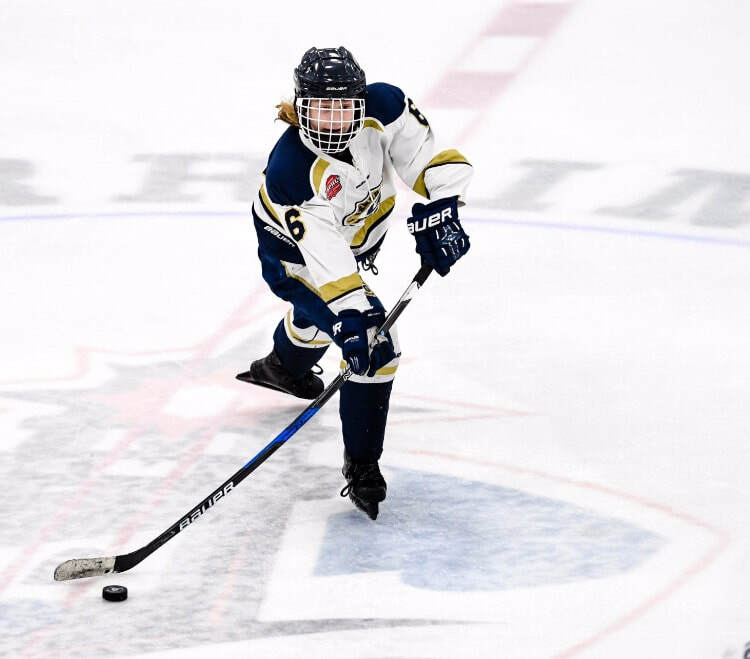 Be prepared to play multiple games per day, sometimes very early or very late at night, depending on the number of teams competing and ice schedule. As your child is first starting out in hockey, don't go all out with the most expensive gear. It's overkill and they won't get the benefits of what more expensive gear can offer performance athletes. At younger ages, they're not putting a lot of 'wear and tear' on the gear and they're most likely going to grow out of it well before it would truly need to be replaced. For new players, shop online for starter gear kits. This way you're able to get your child what they need for only a few hundred dollars (or less). In addition, there are options to buy used or inherit 'hand me down' gear from other players who have moved up in age levels. ​The basics for what your player needs is outlined on our Uniforms page. After your player has a season or two under his or her belt, you'll start to hear and see preferences about equipment. That's the point where you can start to shop items and start to build a more custom set of equipment. Every player is different so there's not a right or wrong answer. Let him/her tell you what they need, then ask the pros at the skate shops to help get your player properly fitted. Right now, Eugene Jr. Generals' teams are coed. At all age levels, boys and girls play together. Those with daughters might have concern about whether the boys will be tough on the girls. You might be surprised to learn that often the girls really enjoy playing with the boys and its good for the boys to play with the girls. Both learn valuable lessons by playing together. As girls age, however, there is some value in giving them opportunities to play in all-female games as some of the dynamics change. Oregon is developing/growing a female program so if you have a female player, be on the lookout for periodic announcements on opportunities for her to get this experience. As a new parent in the program, it can be easy to feel overwhelmed or lost by all the hustle and bustle. Please know that you're not alone and anyone who has a kid playing in older age levels was once where you are now. If you have a question, just ask. You'll find the majority of folks at the rink are pretty friendly and more than willing to help. If you aren't able to find the information you need, please contact the LAHA Board and one of the officers can help. You can also ask your coach or team manager. He or she is also happy to help. We want you to feel welcome and supported so please don't be shy. So, welcome to the sport of hockey, welcome to LAHA, and we'll see you at the rink!